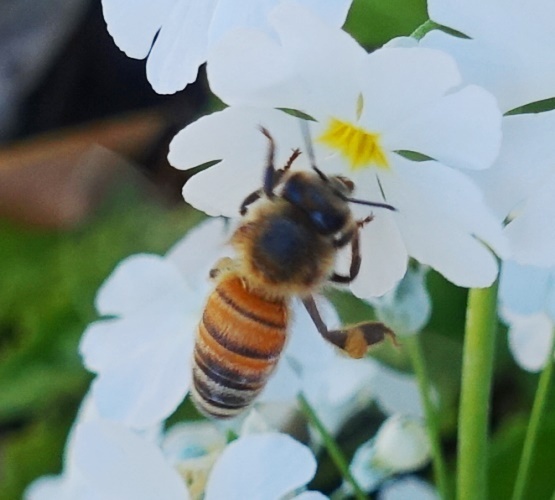 Tonight I thought I would share some pictures of Down Under Bees. As I thought of the title of the post I thought of the song Down Under by Men at Work. I had to find a recording of the song to listen to while putting this post together. 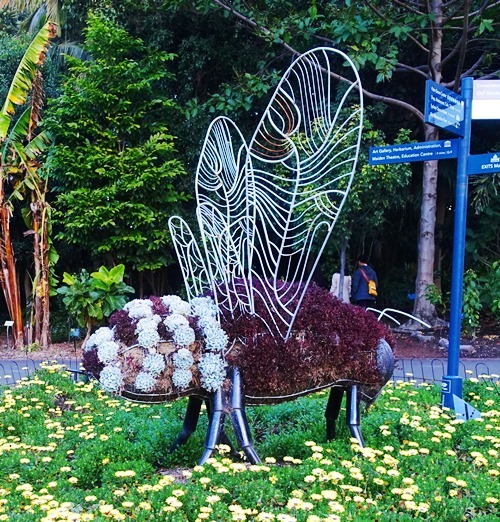 The pictures in the post are all from the Royal Botanic Gardens in Sydney. 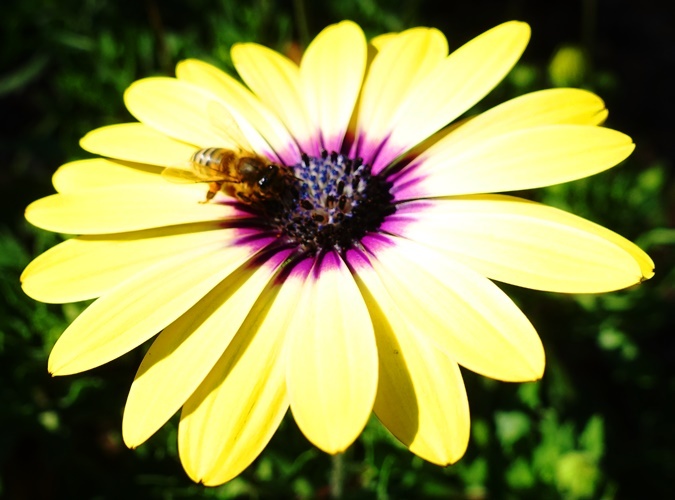 Here is a bee pollinating a nice yellow daisy. It was fun trying to get a good picture of the bee. Most of them were out of focus, but this one turned out pretty good. In this picture you can see the wings of the bee. This flower bed was very pretty, and you will see it better in the next picture. I had no trouble capturing a picture of this bee. It is a fun sculpture and is standing in the bed of daisies where the ones in the first two pictures were growing. The bees did not show up too well against the yellow background, but the next pictures have a bit better background. Here we have a bee pollinating some beautiful white flowers. If you look close you can see the rapidly beating wing on the left side of the bee. 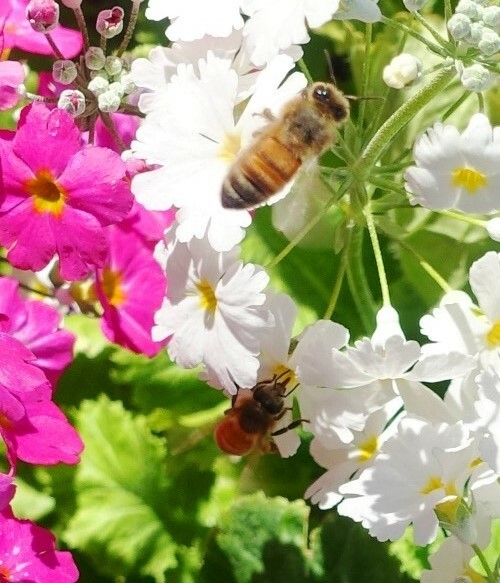 Here are two more bees from the same flower bed. The flower bed had both pink and white flowers, but I tried to get pictures of the bees with the white flowers for the best contrast. It is late winter here in Australia but the flowers are starting to appear. 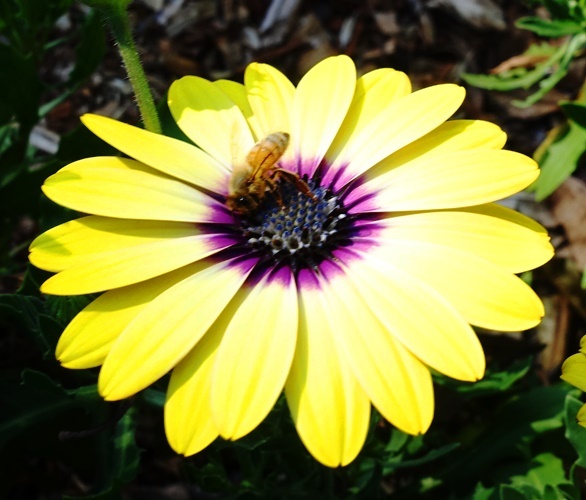 This entry was posted in Australia, Flowers, Nature, Seasons, Travel and tagged Bees, daisies, honey bees, Pollination, Royal Botanic Gardens, Winter. Bookmark the permalink.